We are very honoured to be able to support Dementia Canterbury in helping people in our communities to continue to lead fulfilling lives after a dementia-diagnosis. Dementia is one of New Zealand's most significant healthcare challenges. 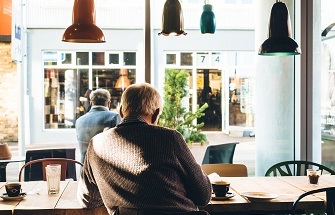 The number of people with dementia in New Zealand is forecast to grow exponentially in the next couple of decades. For every person with dementia there is a wide family, a network of friends, whanau and often colleagues who need information and support. Your gift, of any size, can increase the quality of life of many. In the early 1980s there was little public awareness of Alzheimer’s disease in New Zealand and virtually no support services for people with dementia and their carers. This prompted a small group of Christchurch social workers to form the first ever support group in New Zealand dedicated to helping people care for those with dementia. Initially known as ADARDS (Alzheimers Disease and Related Disorders Society), the organisation grew into Alzheimers Canterbury at a regional level, with 20 other regional groups around the country. 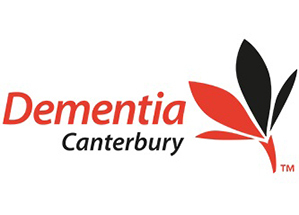 In 2016, Canterbury left the Alzheimers Federation and rebranded as Dementia Canterbury. Today Canterbury, Auckland, Waikato, Hawke's Bay, Lakes, and Wellington are the affiliates of Dementia New Zealand, covering over 70% of NZ's population. While carer support remains integral to their service, the organisation has grown and developed significantly, incorporating a model of Living Well. This includes education and support, planning and therapeutic services, and meaningful activity in partnership with our community. Dementia Canterbury recognise the need for services to be responsive to people with dementia as well as those who support them. Their services cover all of Canterbury including the Ashburton region, North Canterbury, and Kaikoura, as well as the West Coast. You can help too, and it doesn't cost you anything extra. Simply book your stay with ezibed and help raise funds for Dementia Canterbury. Your support is very much appreciated. "The greatest legacy anyone can leave behind is to positively impact the lives of others. Whenever you add value to other people’s lives, you are unknowingly leaving footprints on the sands of time that live on even after your demise."